hits the deffending pokemon and poison your victems pokemon. 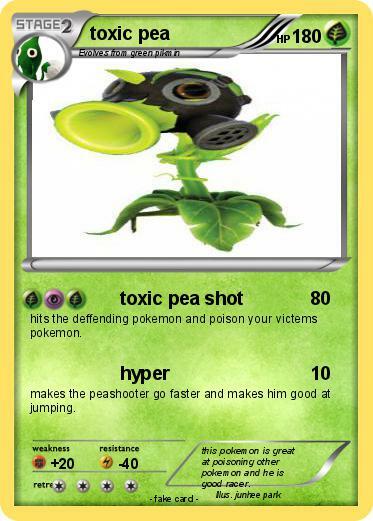 makes the peashooter go faster and makes him good at jumping. Comments : this pokemon is great at poisoning other pokemon and he is good racer.